American Jews are broadly divided into two groups. There is the Orthodox minority, and everybody else — Reform, Reconstructionist, and Conservative (the latter not to be confused with the political movement of the same name). The Orthodox tend to be politically conservative, particularly on social issues, and generally vote Republican. The other movements, which represent the majority of American Jews, are politically liberal and tend to vote Democratic. On Wednesday, the liberal “everybody else” rabbis declared that they would not participate in the annual conference call with the President of the United States before the High Holidays this September — the first such boycott. President Trump’s statements during and after the tragic events in Charlottesville are so lacking in moral leadership and empathy for the victims of racial and religious hatred that we cannot organize such a call this year. The President’s words have given succor to those who advocate anti-Semitism, racism, and xenophobia. Responsibility for the violence that occurred in Charlottesville, including the death of Heather Heyer, does not lie with many sides but with one side: the Nazis, alt-right and white supremacists who brought their hate to a peaceful community. They must be roundly condemned at all levels. There are three remarkable things about this statement. The first is that it is based on a lie. The second remarkable thing about the rabbis’ statement is that they refuse to acknowledge that the radical left-wing radicals that marched against the right-wing extremists in Charlottesville proudly used violence — and not to defend themselves, at least initially, but to shut down their opponents’ freedom of speech. The rabbis explain that the “hate” the right-wing extremists brought to Charlottesville justified the violence against them. That is remarkable, given that these same rabbis claim to embrace the legacy of the Civil Rights movement. The key to that movement’s success was non-violence. In their letter, the rabbis reject that principle, and that legacy. Third, and most remarkable of all, is the fact that the rabbis’ statement violates the essence of the High Holidays. The season is meant to be a time for repentance, forgiveness, and reconciliation. What better time to approach the president — if, as they say, the rabbis want him to change his ways? Their behavior is exactly the opposite of that prescribed by Jewish law and tradition. It is they, and not the president, who have abdicated their moral leadership. The Reform, Reconstructionist and Conservative rabbis have thus elevated partisan politics above the basic tenets of their faith. And not for the first time, either: in 2009, President Barack Obama used his conference call with the “everybody else” rabbis to encourage them to promote Obamacare in their sermons during the High Holidays. Few objected; many eagerly complied, ignoring the views of the few political conservatives left in their congregations. It was not always this way. The Reform movement — the first to break away from traditional Orthodoxy — was once a valiant attempt to grapple with the challenge that reason, and the Enlightenment, posed to faith. The Conservative movement sought to retain Reform’s embrace of modernity while preserving much of the traditional liturgy. And the Reconstructionist movement aimed to express the spiritual essence of Judaism, beyond its legal strictures. Meanwhile, there is a small but strong counter-current among Jews who are “returning” to the traditional faith of their forebears. And the more that the Reform, Reconstructionist, and Conservative movements try to retain their congregations by bending principles of faith, the faster they are disappearing. Rather than traditional teachings on questions of right and wrong, they define morality by Jews’ shared status as victims with other minority groups. But for the last several years, the Democratic Party has shifted against Israel. Today, the leaders of the anti-Trump “Resistance,” which the party has embraced, are anti-Israel and even antisemitic. Yet the rabbis are not shunning the Democrats — quite the opposite. In fact, they are embracing some Democratic policies that directly threaten Jews. In their statement, the rabbis accuse Trump of supporting “xenophobia” — presumably, a reference to his immigration policy. But the fact is that many recent Muslim immigrants to America come from countries were antisemitism is rampant. It is no accident that as first-generation Muslim Americans arrive on campus, Jewish students feel increasingly harried and isolated. And the “everybody else” movements lack the capacity to push back, because they share the same philosophical foundations as the anti-Israel, antisemitic left — namely, the embrace of the inherent morality of victimhood. The fact that Palestinians are perceived to be the weaker side in the conflict, for example — though the Palestinians only have their own choices to blame — has left liberal Jewish denominations unable to respond to the challenge at hand. And so the liberal rabbis who refuse to speak with Trump increasingly speak for no one — for remnants of a culture that is dying, though Judaism itself survives. Their High Holidays boycott of Trump, against the tenets of their faith, is only the latest episode in a long process of self-destruction. Trump was elected by Americans — including Jews — who refuse to participate in collective suicide. In that sense, the liberal rabbis have much to learn from his example. 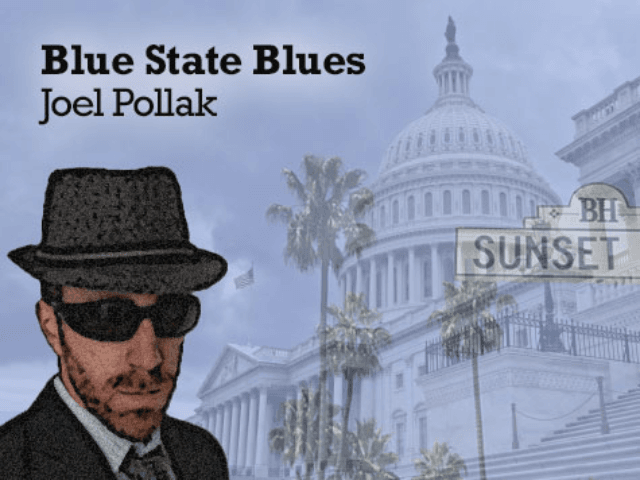 Joel B. Pollak is Senior Editor-at-Large at Breitbart News. He was named one of the “most influential” people in news media in 2016. He is the co-author of How Trump Won: The Inside Story of a Revolution, is available from Regnery. Follow him on Twitter at @joelpollak.